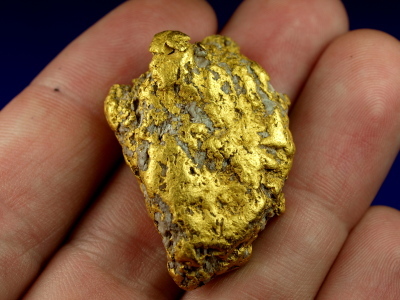 This beautiful nugget was recently recovered with a metal detector in Northern California. 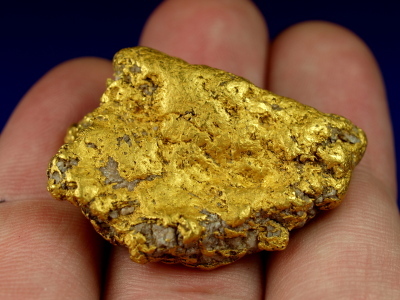 It has fantastic eye appeal and is now a great addition to someones gold collection. Weighing in at just under an ounce and a half, you truly don't see nuggets of this size and quality very often. 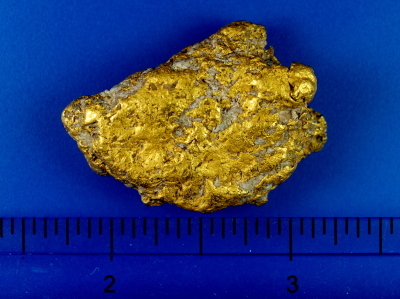 It weighs 43.73 grams, or 1.403 troy ounces.